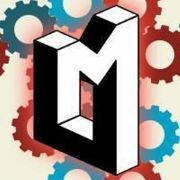 Bots & Beer is the regular social meetup for roboticists and anyone interested in robotics in the Bay Area. Bring your bot along for 'show'n'tell' at our lightening talks or just enjoy. Come hang out with us as we join groups around the world to celebrate and learn about one of our favorite electronics development platforms, Arduino. We're doing a whole day of demos and workshops, like last year. We hope you'll bring your Arduino project to show off. Or come try out Arduino programming for the first time. We'll have various prizes to give out, and snacks. The Robotix Institute is hosting it's First Annual Robotics Festival at our Fremont, CA location. The Festival will focus on STEM education and have robots, workshops, displays and family activities free to the public. You say you've got some robot parts... Look, we've all done it. Purchased say one too many gear motors for that special project we never seem to get to. Time to clean out the attic! Not JUST robot parts! Electronic components of all kinds are welcome. • Have a motor driver you don't need? Some machine screws that need a good home? • Stroll around a pick through treasure-laden parts collections. • Haggle for that power transistor gem. • Bring family and friends for a one-of-a-kind shopping spree! SEE YOU THERE! Robots are coming! Let's be ready to program them :) This group is for aspiring roboticists. This week: • Sensors! Our order for GP2Y0A60SZLF Analog Distance Sensor, IMU, and RTCs should have come in. • This meetup occurs during Robot Garden's weekly open access. Programming experience comes in handy. Persons under 18 must have a parent or guardian sign a waiver and must be accompanied. • Become a member of our forum: http://prsg.freeforums.org/ • New to ROS? You can catch up online! See Programming Robots Study Group session notes at http://www.robotgarden.org/wiki/robotics/ • Remember to bring your computer WITH ROS DESKTOP. Using our Virtual Machine on your PC satisfies this requirement. Our virtual machine has the relevant software pre-installed. Read about it here: http://www.robotgarden.org/wiki/robotics/programming-robots/programming-robots-study-group-vm/. Dawn of Drawbot! This week... We will look at stepper motor controllers and check in on progress. Hopefully folks will have found time to print the shoulder and elbow pulleys. Some resources: • A list of parts • A mechanical design • Github • Wiki We will be presenting using hangouts so others may join. We'll have a prototype @ RG for inspection. This is a project in association with the open source robot arm community. Join the robot arm project! Join us for our 2nd annual Robot Day, the largest event at San Diego Public Library. Dress up like a robot, participate in a hands on activity, attend a workshop, or watch a robot competition to celebrate robotics education and development. This is free event for all ages. Each day of the week I will feature a different robot in my kindergarten classroom, including programming and demonstration, as well as connected reading, writing, and mathematics activities. Join the rolling, roving, singing, dancing robots at Jabil's Blue Sky Center. 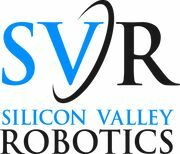 Organized by Silicon Valley Robotics, the not-for-profit industry group supporting innovation and commercialization of robotics technologies. Robots on display will be out of this world (literally! ), from the latest space research to the most sophisticated manufacturing robots, from the newest startups, to the youngest robot makers. The world's largest robot competition, with over 50 different robot events - humanoids, sumo, fire fighting, combat, and more. The Evergreen Robotics Challenge is an intra-district completion that engages students to create and program robots. School teams work on challenges using the Lego Mindstorms robotic platform to learn about coding, science, mathematics, and engineering. In addition to STEAM exposure, students practice creativity, cooperation, communication and critical thinking. This showcase event will not qualify to anything. The purpose of the event is to provide an opportunity for girls in the VEX Robotics program to be able to come together to celebrate their accomplishments, compete and meet new people. This event is only open to all girls VEX Robotics teams. The Robotix Institute is hosting it's First Annual Robotics Festival at our San Gabriel, CA location. The Festival will focus on STEM education and have robots, workshops, displays and family activities free to the public. Open hours for anyone to come and explore Robot Garden, community makerspace with robots! "Out of the lab and into our lives" presentation by Andra Keay, Managing Director of Silicon Valley Robotics See a selection of videos of the latest research robots, (space robotics, soft robotics, microrobots, bioinspired robotics) and learn what technologies are actually leaving the lab and entering our lives in the latest robotic startups. NAO is a humanoid robot built by Aldebaran. 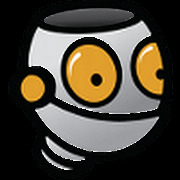 He is cute, friendly and fully programmable. In this workshop, you'll discover NAO, his hardware and his software. Thanks to Choregraphe, the graphical user interface provided with NAO, you'll discover how to program the robot in an easy way. This event is a workshop for kids Once you'll be familiar with the programming logic, you'll write a story for NAO and you'll then have the opportunity to test your creation on a real robot. Sounds fun? Join us! The Botball® Educational Robotics Program engages middle and high school aged students in a team-oriented robotics competition, and serves as a perfect way to meet today’s new common core standards. Students use science, engineering, technology, math, and writing skills to design, build, program, and document robots in a hands-on project. The second season of BattleBots will continue to wow viewers with next generation robots – bigger, faster, and stronger than ever before. The robots will again wage battle in a single elimination Tournament until there is one champion. The Tournament will double in size and feature an expanded field to include expert roboticists, garage builders, families on a mission, as well as past winners returning to defend their turf. CRUSER's annual research fair is an opportunity for the NPS CRUSER community of interest members to showcase their work – and an excellent way to inspire students of all ages to deepen their study of science, technology, engineering and math (STEM). There is also a hands-on, robotics-related activity for elementary and secondary students. Come celebrate National Robotics Week with CRUSER, and come see the robots! The Botball® Educational Robotics Program engages middle and high school aged students in a team-oriented robotics competition, and serves as a perfect way to meet today’s new common core standards. By exposing students to an inquiry-based, learn-by-doing activity that appeals to their hearts as well as their minds, Botball® addresses our nation’s need for a well-prepared, creative, yet disciplined workforce with leadership and teamwork experience.